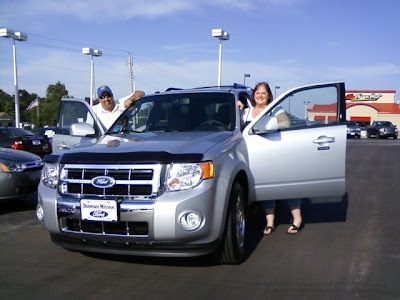 This is Kelli's THIRD Ford Escape. Yeh... she loaded this one up with leather and the full Navigation system. She's as happy as can be and this is her sixth purchase from Shawnee Mission Ford. Tell me that's not a great endorsement. Enjoy your vehicle, Kelli. Congratulations!